I’m struck by how little evidence Ken Ham presented in his main presentation or in his rebuttals. He briefly mentioned a few standard YEC arguments for a young Earth, such as woody material dated at 40,000 years by carbon-14 dating contained in a 45 million year old basalt flow. But he didn’t spend much time developing this or any other young Earth argument. Ham spent most of his time talking about world view, and propounding his postmodern-ish insistence that no one can really know anything about the past through scientific investigation. This world view talk was good for preaching to the YEC choir, but was not very useful for convincing skeptics or fence-riders. Ken Ham, as he has often done in the past, gave a false choice between believing in God’s infallible and unchanging Word, and believing in man’s fallible and changing science. Ham doesn’t see that both Scripture and the creation contain truth, and that the processes of understanding either Scripture or creation is done by fallible people. In other words, Ken Ham might have the Word of God in his hands, but Ken Ham can be wrong about the best way to understand certain passages. I have many reasons for believing that Ham (and YECs in general) over-read the text of the opening chapters of Genesis. Here are a few. I have already stated my main critique of Bill Nye–he lacked the necessary background in geology to participate in a debate like this. As a Christian, I wanted Ken Ham to win the debate, which I believe he could have done if he had taken a “mere creation” approach rather than having a narrow YEC focus. Despite my training in science (and perhaps because of my training in science), I have much more in common with Ken Ham’s Christian world view than I do with Bill Nye’s naturalistic, atheistic world view. I had heard that 500,000 people watched the debate live. Now I’ve read that the number was closer to 3,000,000 viewers. J.W. Wartick — Ken Ham vs. Bill Nye- An analysis of a lose-lose debate. Faithful Thinkers — Ken Ham vs. Bill Nye: The Aftermath. Jay Wile — Talking Past One Another – The Ham/Nye Debate. Al Mohler — Bill Nye’s Reasonable Man—The Central Worldview Clash of the Ham-Nye Debate. “In this light, the debate proved both sides right on one central point: If you agreed with Bill Nye you would agree with his reading of the evidence. The same was equally true for those who entered the room agreeing with Ken Ham; they would agree with his interpretation of the evidence. Evolution News and Views (an I.D. site) — The Ham-Nye Creation Debate: A Huge Missed Opportunity. 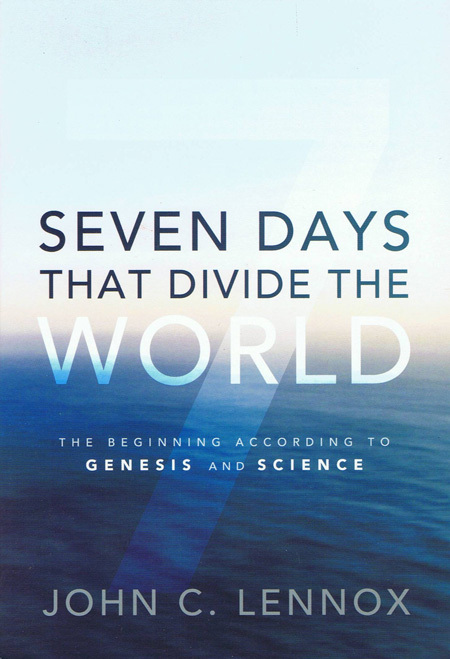 On February 4, 2014, Answers in Genesis President Ken Ham debated Bill Nye (“the Science Guy”) on the topic of “Is creation a viable model of origins?” I cannot say that I was disappointed with the debate, because I had very low expectations for it in the first place, and it was about what I anticipated. I had hoped that Ken Ham would take a “mere creation” approach, which would focus on the sorts of things most Christians agree upon when talking about origins. He could have focused on topics that are especially vexing for non-theists, such as the origin of the universe (or multi-verse, if you prefer), or the origin of life. Instead, he chose to focus on typical young-Earth topics such as the age of the universe and Noah’s flood. Bill Nye was also a disappointment (and again, I had low expectations). His background is in engineering and physics, not in the more pertinent subjects of geology and biology, and it showed. His knowledge of the Bible was downright at the middle school level, as I’ll discuss later. My main complaint about the debate is that, for the most part, it presented the audience with a false dichotomy: young-Earth creationism or naturalistic, atheistic (or at least agnostic) science. 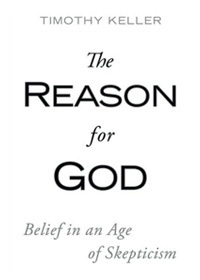 Ken Ham acknowledged that there are old-Earth Christians, and that salvation is based on one’s relationship to Christ rather than what one thinks about the age of the Earth. But he also made it clear that he views the old-Earth position as a compromise, as opposed to his pure “biblical” creation interpretation. Bill Nye actually did a better job of acknowledging that there are billions of people in the world who are religious and yet do not accept young-Earth creationism, but it was also clear that he viewed this religiosity as “belief” as opposed to scientific knowledge. I’ll start with some positive aspects of both men’s presentations. The debate was very cordial, respectful, and orderly. I think that the best point that Ken Ham made was that non-Christian scientists have no good explanation for why we have laws of logic, laws of nature, or uniformity of nature (the laws that work here also work the same way over there, and worked the same way in the past). Ham said that non-believers have had to borrow these concepts from Christianity, and to a large extent, this is true. It is not that Christians, or theists, are the only ones who believe in logic, laws, or uniformity, but that they are the only ones who can give a rational explanation for the existence of these properties of the universe. Bill Nye made a number of good scientific points related to the topic at hand. He described the concept of fossil succession: fossils occur in a specific order in the geologic record wherever one goes (he focused on the Grand Canyon), and correctly pointed out that there is not a single location where fossils are out of place. I wish he had elaborated on this for the sake of his audience. One does not find dinosaurs in the Permian (they belong in the Mesozoic), and one does not find elephants in the Cambrian (mixed in with trilobites). If young-Earth geology were correct, we would expect to see a considerable amount of “turbulence,” as Nye put it, in the fossil record, with a number of fossils being found in the wrong layers. It does not happen. He also described cores taken from ice caps. For example, there are ice cores drilled from Antarctica that contain a 680,000-year record of ice deposition. Nye calculated one would have to have 170 annual layers created per year to form these since Noah’s flood 4000 years ago, and that this is a preposterous idea. Nye used the local (Kentucky) geology to point out another problem with YEC flood geology. The thick layers of limestone in the area are built in places of billions of coral organisms, which are entombed in their life positions in complete ecosystems. One would not expect a global flood to pick up coral organisms and plant them all in such a way to look like they grew there in place. Nye also drew attention to the problem of modern biogeographic distribution of species: How did Australian mammals, for instance, such as the kangaroo, all migrate to Australia over a now-missing land bridge without leaving any straggler populations or a trace of their passage (such as fossils) between Ararat and Australia? Though I agree with Ham that historical science is done with somewhat different methodology than experimental, laboratory science, I think he stretched this point too far. Ham’s presentation of the historical scientific method almost makes it sound like some sort of postmodern guessing game, where opinion A is just as good as opinion B. No, something really happened in the past, such as the ice ages. Explanation A (the conventional geological explanation) might explain most known observations very well, while explanation B (the YEC explanation) fails miserably. It is not “one answer is just as good as another; you cannot prove anything,” as Ken Ham would have us believe. There are explanations that work, and explanations that do not work. Ham gave one of his favorite statements, which I’ll paraphrase as, “From reading Genesis, we would expect the flood to produce billions of dead things laid down by water, and when we look at the geological record, we find billions of dead things laid down by water.” The main scientific problem with this is that one would expect a global, catastrophic flood to produce disorder, with a chaotic mixture of sediments and organisms. Instead, we find distinct layers, sometimes very pure, of various sediment types, preserving what appear to be ancient sedimentary environments and ecosystems, some of which obviously formed in fairly quiet settings, with a very distinct order of fossils from oldest to youngest. Ham discussed radiometric dating, both in terms of the assumptions that go into the dating procedures, and in terms of conflicting radiometric dates. This could merit a whole series of articles in response, but I’ll just say that in most cases we can have a pretty good idea what the initial parent-to-daughter isotope ratios were, whether or not there has been gain or loss of isotopes from the sample, and that all reports of variable decay rates in the scientific literature indicate that this variability is minor. There are discordant (i.e. conflicting) radiometric dates out there, but overall the methods give highly consistent results. 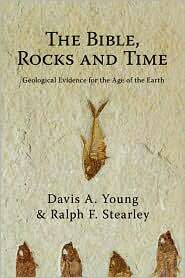 I would say that the whole YEC RATE research program had to happen because of the overwhelming evidence (even to YECs) that in most cases the first two assumptions about radiometric dating are valid and that most dates are indeed concordant, which has left YECs with nothing to work with but variable decay rates. Ken Ham also mentioned the planes that crashed in Greenland in 1942, and have subsequently been buried by over 200 feet of snow and ice, showing (to YECs) that thick ice caps could form quickly. What Ham didn’t tell the audience was that these planes were found near the edge of the ice sheet, where precipitation is much higher than in the dry interior where ice cores are taken. If the planes had crashed in the interior, their remains would still be at or near the surface of the ice cap. Bill Nye got his science wrong – This is where Nye’s lack of geological training showed through. As he was discussing layers in the Grand Canyon, Nye showed a slide where a channel of the Devonian Temple Butte Formation is cut down into the Cambrian Muav Limestone. He described it as being “intruded” into the underlying formation, which makes it sound like an igneous rather than a sedimentary process. Still, his point was valid, that fossils of the Devonian are not found in Cambrian rocks, and vice versa. He also gave a shoot-from-the-hip explanation for something Ken Ham brought up. Ham described a situation where a basalt flow enclosed some woody material, and the basalt gave a potassium-argon age of something like 45 million years, while the organic material gave a carbon-14 age of something like 40,000 years. Nye suggested that this could be explained by thrust faulting, where one layer slid horizontally over another. I kind of groaned when he said this, as one would not invoke thrust faulting without good field evidence. There are better explanations for such situations. I shoot from the hip sometimes, and often it does not go well. Bill Nye got his theology wrong – I did not expect him to have much knowledge about the Bible or theology, and he demonstrated deep ignorance about how we got the Bible. 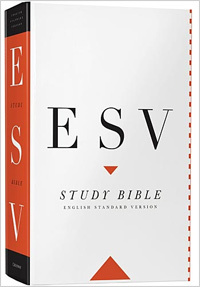 Nye stated several times that he does not understand how one could believe a book that was written 3000 years ago, then translated, and re-translated, and re-translated, and eventually translated from one of these latter re-translations to make our English Bibles (the telephone game). In reality, how the Bible was formed and where our modern-language translations came from looked nothing like this. 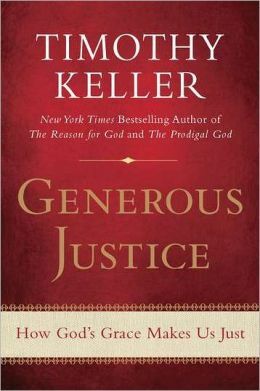 Ken Ham got his theology wrong – One would hope that one of the most influential Christians in America (and Ham does have a tremendous amount of influence in some circles) would get his theology right, but many theologically conservative Bible scholars would disagree with Ham’s interpretation of Scripture. Ham likes to use the phrase “biblical creationist” to describe his position, implying that any Christian who is not a young-Earth creationist is somehow an “unbiblical” creationist. I have many reasons for believing that the Bible is neutral or silent on the question of the age of the universe. Being that these are biblical reasons, I would say that makes me a “biblical creationist” as well. One example that Ham brought up was the use of genre (literary type or category) in biblical interpretation. He stated that biblical interpretation involves a “natural” reading of the passages, and I agree. In general, historical narratives are meant to be read as real history, and poetic passages (such as the Psalms) are meant to be read in a much more figurative way. 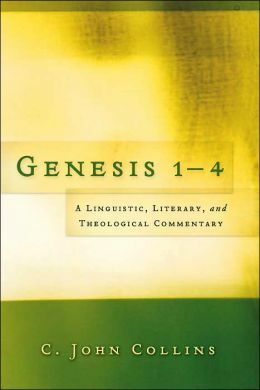 However, Ham lumps the entire book of Genesis together as “historical narrative” when it is clear that the literary structure of chapter one is different than the rest of the book, and actually quite distinct in ancient Hebrew literature. Overall, I did not find the debate to be at all helpful. I did think that Nye’s scientific arguments were stronger than Ham’s (as YEC is rather indefensible scientifically), but they could have been stronger, and Nye demonstrated deep misunderstandings of Christianity that are, unfortunately, much too common among skeptics. Young-Earth creationists who watched the debate probably thought that Ham crushed Nye. Atheists who watched it probably thought that Nye demolished the silly arguments of the young-Earthers. For the rest of us, the debate was a lose-lose affair. There was little in Ham’s presentation that would cause a non-believer (especially a non-believing scientist) to consider Christianity, and Nye’s weakness on geological issues hampered his effectiveness. I would have much rather seen a debate between a Christian old-Earth geologist and a YEC geologist, or a debate between a YEC biblical scholar and a old-Earth biblical scholar. But then only 500 people would have watched it nationwide rather than 500,000. The debate is archived at http://debatelive.org/. In March of 1987, young-Earth creationist Dr. Duane Gish came to Washington State University to have a creation-evolution debate with Dr. Grover Krantz, an anthropology professor at WSU. Gish’s style in his frequent debates was a rapid-fire overload of facts from a wide variety of fields, most of which were outside of his opponent’s area of expertise. Unless his rival was especially well-prepared, Gish knew that there was no way that all of his young-Earth, anti-evolutionist “evidences” could be answered. Young-Earth creationists would attend these debates in droves, and would conclude that Gish had won the debate. I don’t remember much about the debate that night (beyond Krantz having a bunch of hominid skull replicas with him for his rebuttal), but what I do remember is Gish’s trip to the WSU Geology department earlier in the day. Someone had invited Gish to speak at our weekly departmental seminar. I was a graduate student in the department at the time, and I remember being nervous about what he would say. Having “converted” from young-Earth creationism to old-Earth Christianity as an undergraduate student just a few years previously, I was concerned that all Gish would accomplish would be to make Christianity look foolish, and solidify the antipathy that some in the department had against the faith. Duane Gish surprised me. 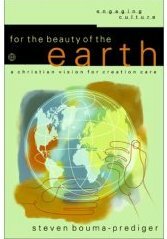 In his presentation before the Geology department, he took a “mere creation” approach rather than making an effort to defend his belief in a young Earth or flood geology. When asked questions about things like the age of the Earth, he answered that some Christians go one way, and other Christians the other. This was akin to C.S. Lewis’s Mere Christianity, where Lewis discussed and promoted Christianity in general, rather than making an attempt to make everyone Anglicans. Gish talked about things like the origin of the universe, the origin of life, and gaps between phyla in the fossil record. Though there was still hostility against Gish among some in the audience, there was also receptivity. I remember one PhD candidate remarking after the presentation that if this was the sort of material the creationists were promoting, he would not be opposed to it. Tonight (2/4/2014) Ken Ham (president of Answers in Genesis) will debate Bill Nye (the science guy) on the topic of “Is creation a viable model of origins.” I can see this debate going one of two ways, depending on whether or not Ham takes a “mere creation” approach, as opposed to defending the more radical young-Earth creationist positions he normally propounds. If the debate circles around typical young-Earth topics such as the age of the Earth, the geological effects of Noah’s flood, or whether or not dinosaurs were on Noah’s Ark, Nye should be able to show the numerous faults and contradictions of the young-Earth position. That is, if Nye has done his homework (Nye’s university degree was in Engineering, and his strengths on “Bill Nye the Science Guy” were always in physics and chemistry, not geology or biology). If, on the other hand, Ham steers the debate towards broader “mere creation” topics such as the origin of the universe or the origin of life, then I think Ham could show the world that Christianity has a better answer for the questions of origins than atheistic naturalism does. In summary, if the debate is about “mere creation” Ham (and Christianity) should “win” the debate. If the debate becomes about young-Earth vs. old-Earth or the extent to which evolution can occur, I think we all will lose, no matter who “wins” the debate.